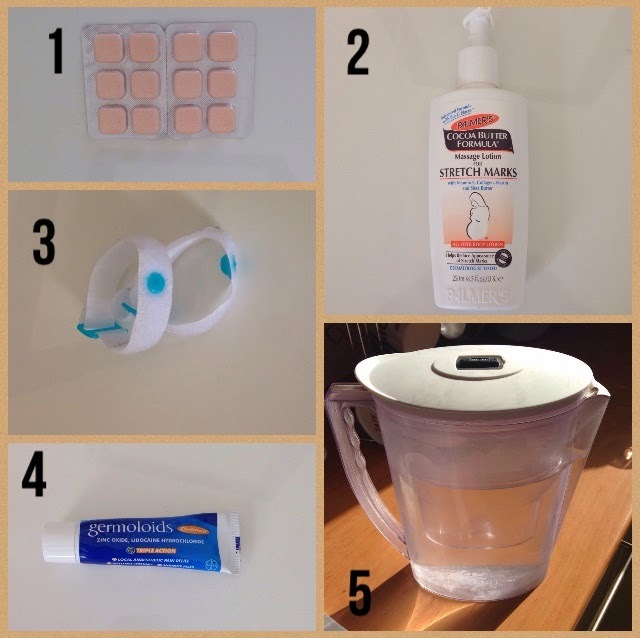 There have been a few essential items that I could have not lived without during my pregnancy so far. I have decided to share these with you. I wish I had rushed out and bought these the moment I found out I was pregnant. Here are my top 5 products that I could not have done without. I have never really suffered from indigestion or heartburn before but now I can't remember a night I didn't have to chow down on these like they were going out of fashion. I like the orangey taste and they tend to be cheaper than the minty ones, which is a bonus. I was making a curry the other day and had to have a Rennie while I making it, just the smell of the spices made me have heartburn! These are a must have item and I have packets of them everywhere, the coffee table, next to the bed, the kitchen and my handbag. I love this stuff but unfortunately so does my boyfriend and he uses it more than I do. The cream is really thick and rich but dries quickly with no sticky feeling. It also smells amazing, just like chocolate which is never a bad thing, right? I gave these a go during my experiences of morning sickness. I initially saw some in Boots for £13 but was unconvinced they would work so left them. I spied these in Poundland and thought why not?! Well I can't say they cured my morning sickness because nothing did, but they definitely helped. They can become a tiny bit uncomfortable after a while but for a quid I couldn't complain. I would put these on when I woke up early to pee, and sleep with them on. I would wake feeling a bit better and they took the edge off until I could face food. Well if you are pregnant while reading this and haven't got any pile cream yet, then go get some! You will thank me! I have experienced piles pre-pregnancy while I was studying and living off junk food. It was not very nice but they cleared up in a couple of days. So when I got a case of piles while pregnant I thought the same would happen. Wrong! After a couple of days they got worse, then after 6 days I finally went and got some cream. It was so painful I was almost in tears at one point. You can't stand up, you can't sit down, relax but take gentle exercise was the advice I read. Now here is my advice to you. The second you feel an irritation slap a shed load of this stuff on, it took mine off in 2 days. Save yourself the pain and just get some. This product has been a lifesaver. All I wanted when I had morning sickness was something cold to drink. This little beauty meant I was at least getting some fluids in me when the thought of food made me physically sick. I still use it daily and it reminds me to keep hydrated. As I said in the title this is my starter pack, if I come across anything else I love I will do a second instalment of my pregnancy toolkit! What couldn't you live without when you were expecting let me know in the comments below, you might help a fellow preggo!